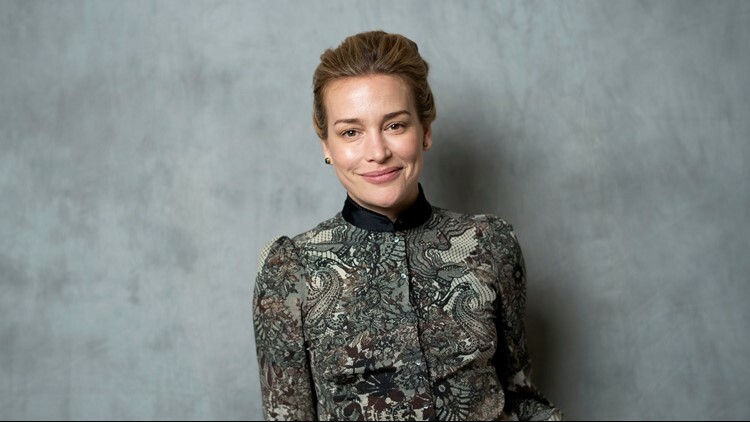 Actress Piper Perabo attends the United State of Women Summit on May 5, 2018, in Los Angeles, California. It is not clear if Perabo was charged or detained, as she continued to tweet after the incident. "Covert Affairs" actress Piper Perabo said she was arrested Tuesday for protesting Supreme Court nominee Brett Kavanaugh during the first day of his confirmation hearings in Washington. The 41-year-old posted a video on Twitter of herself being escorted out of the hearing room by Capitol Police, along with several other women who urged senators to "be a hero" and "please vote 'no' " on President Donald Trump's nominee. "I was just arrested for civil disobedience in the Kavanaugh hearings," Perabo tweeted. The actress is very vocal about politics on Twitter and even has a cover image on her profile that is critical of Kavanaugh. Perabo continued: "Many citizens before me have fought for the equal rights of women. I can’t be silent when someone is nominated to the Supreme Court who would take our equal rights away." In another tweet, Perabo said she was "proud to stand" with activists from the Women's March and the Center for Popular Democracy Action. It is not clear if Perabo was charged or detained, as she continued to tweet after the incident. USA TODAY has reached out to the actress' representatives for comment. Perabo was among dozens of protesters, the majority of them women, who stood and shouted their opposition to Kavanaugh throughout the proceedings. The hearing was so tumultuous at times that John Cornyn of Texas, the second-ranking Senate Republican, labeled it "mob rule" and "unlike anything I’ve seen before in a confirmation hearing."